I will tell you once and a hundred times more, the blogging community is so amazing. They are always there to support and encourage you when you need it. Also, they help to recognize each other and new blogs. One way of doing so is through the Liebster Award. I was nominated by the lovely Rachel from Coffee Stains and Growing Pains. I am still so thrilled and thankful or the nomination. It might be just an online award but it still feels like an accomplishment. Here is how it works-There are 3 parts to this online award. First, I will answer the 11 questions Rachel has given me to answer. Secondly, I will provide 11 random facts about myself. Then lastly, I will nominate 5 fellow bloggers and give them their questions. Why do you blog? 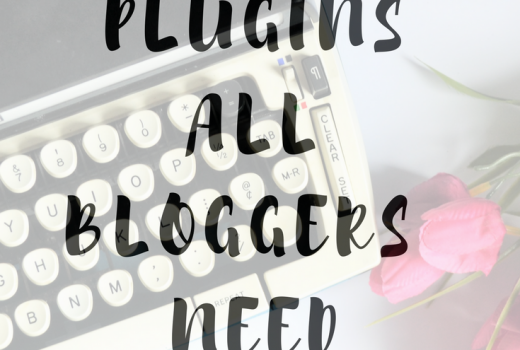 I blog because I have always been creative and a writer…blogging allows me to use both of those aspects of my life on a daily basis. I love everything about blogging and I love being able to get my writing out there. Hopefully, I can lift someone up, entertain them, or make them laugh. What is my favorite TV show? Hmmm, so hard to pick just one! I would probably have to say One Tree Hill. It has been and always will be a favorite. I’m forever a Naley fan. If I were to send you on an all expenses paid vacation for you and your family for two weeks, where would you go? Definitely a cruise of some kind. I would love to go on a cruise to Greece or Bermuda. Anywhere with crystal clear water and some fun. What would I find you doing in your free time? You could find me reading, painting, watching Netflix, buying makeup, or listening to the newest worship music. What’s your favorite movie? Oh Lordy! Again, how do I pick just one. At the moment, I would have to say Mockingjay part 2. I think they nailed it and I really enjoyed it. What song would be the theme song for the soundtrack of your life? I would have to say “You Make Me Brave” by Bethel. It is my anthem and my daily prayer. What’s your favorite beauty product? Overall, I would have to say mascara or lipstick. I could not live without either of those! What is your favorite time of year? Why? Fall is absolutely my favorite time of the year. I love the colors and the crisp air! I am a big fan of scarves and hot drinks and Fall is the start of both. Who has had the biggest influence on your life? Outside of my family, I would say either Kari Jobe or Karen Kingsbury. Both have been a great inspiration on my life. I may have never met either of them, both do the things I feel called to do…so I have learned a lot from them. I have one dog–a toy poodle named Malachi. He’s getting very very old but he is still the cutest! My favorite color is pink. And gold glitter…if that could be considered a color. I am utterly obsessed with old typewriters. I have one and I am looking to get some more just to display around my house eventually. Fresh flowers are my favorite. I love getting them or buying them. I think they just brighten up my room and I would keep a bouquet around 24-7 if I could. Dr. Pepper is my drink of choice. But I also love tea! This might sound gross…but I enjoy eating kettle potato chips with sour cream and ketchup every once in a while. Not sure where that odd combo came from, but I like it sometimes. I didn’t really have a favorite animal until about a year ago…it’s now a seal or sea lion. I about died when I saw them at my zoo. so. cute. I have been to Disney World at least 5 times, if not more. (I was super little for a couple so I can never remember the right number). My family are die-hard Disney fans and I would still go to Disney World in a heartbeat if I could right now. I collect…(more like hoard)… coffee/tea cups of all kinds. I can’t stop buying them! I have way to many but I will still buy every single one I like. My dream is to be a best selling author. One day maybe. I am obsessed with weenie dogs…I want ones named Essie, Rupert, and Dobby. Just as soon as I get a job and move! STAY TUNED! Part 3–the nominees–will be announced this Thursday!!! Come back then to find out!